Almost three months ago I wrote a column entitled Obama:The Blame Bibi Bears, warning of an impending anti-Israeli UN initiative, and lamenting the ongoing lack of any Israeli action, for well over half a decade, to contend with the emerging threat. Much of what I wrote then attained renewed—and sharpened—significance this week. With a sense of urgency and frustration, which has only intensified in the intervening months, I asked: If one knows a storm is brewing, but takes no measures to prepare for it, when the storm hits, who is to blame for the damage? The storm... or those who did not prepare for it? Unsurprisingly, little effort was taken to implement any such a-priori deterrent action—and subsequent ex-post angry Israeli responses, understandable and well-justified as they may be, are unlikely to have much more impact than slamming the stable doors after the horses have long bolted. However, at times, I have been dismayed at some of his policy decisions and have criticized them with commensurate severity. These include: the freeze on construction in Jewish communities in Judea-Samaria; the unilateral release of droves of convicted homicidal terrorists as a forlorn “goodwill” gesture to the Palestinians; the shameful payment of compensation to the families of the Turkish thugs, killed trying to lynch IDF naval commandoes on the Mavi Marmara; the granting of special status to the Erdogan-regime in Gaza—to name some of them. But of all his injudicious decisions, undoubtedly the one that has had the gravest and most far-reaching consequences was his acceptance – in violation of his electoral pledge—of Palestinian statehood during his regrettable 2009 Bar-Ilan speech. For in a stroke, he dramatically transformed the strategic structure of the discourse—from whether or not there should be a Palestinian state to what the characteristics of that state should be. So although he tried to “hedge” his acceptance with unrealistic reservations and unenforceable constraints, the two-state “genie” was already out of the bottle. It is a decision that has hounded him—and Israeli policy-making—ever since that sorry day, and in effect has put Israel in an untenable position. Indeed, it requires little imagination to trace a direct line from the ill-fated Bar Ilan speech to the diplomatic debacles of the last few days. For once Israel formally committed to the two-state paradigm, it doomed itself to being perceived as disingenuous and deceptive. 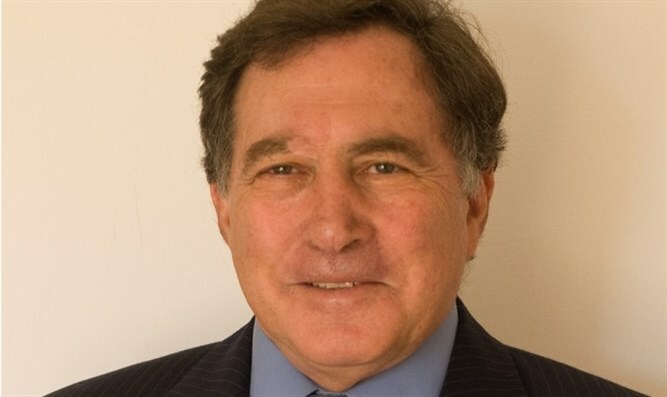 After all, given the prevailing geo-political conditions—and those likely to prevail in any foreseeable future scenarios—the establishment of a Palestinian state, in any configuration even remotely acceptable to even the most moderate Palestinian interlocutor, requires territorial concessions so perilous that no responsible Israeli government could undertake them. Accordingly, any such government, especially one voted into power by a skeptical, hawkish constituency, would find itself trapped in an irresolvable contradiction between its declared intentions and its inability to implement measures necessary to fulfill them. Indeed, as an aside, it is worth noting that Netanyahu’s volte face on Palestinian statehood could hardly have come at a more inopportune time. For it was made precisely as the “Green Revolution” against the tyrannical regime in Tehran erupted. So rather than allow world attention be focused on unfolding events in Iran and Obama’s callous refusal to support the protesters in face of brutal government repression, Netanyahu provided him with a welcome diplomatic victory and sorely needed media distraction. But my major criticism of Netanyahu is not over what he has done—but rather over what he has not done. Indeed, the real question is not how Netanyahu could have dealt with any particular situation (including Friday’s US Security Council abstention) more effectively once it had arisen, but what he could—and should—have done to prevent such situations from arising—or at least, making them far more unlikely and less widely supported. Indeed, for the past eight years, during which Netanyahu has had an unbroken hold on power, he has led the country into what is looking increasingly like a diplomatic impasse. Even with full recognition of the innate anti-Israeli predilections of the Obama administration, and sympathy for the Israeli governments that have had to contend with it, there is still significant blame that Netanyahu must bear for the accumulating US and international pressure on Israel. After all, ever since he assumed office in January 2009 (and arguably well-before that), the inherent antipathy Obama harbored towards Israel—together with his undisguised Islamophilic proclivities—have been painfully clear to anyone with the intellectual integrity to read the abundantly unequivocal signs. Yet despite the fact that Netanyahu has been in power continuously for well over a half- decade, he and his government have done virtually nothing to put in place effective mechanisms to contend with the pernicious effects of the White House’s predilections. Indeed, it is difficult to view this as anything short of a grave dereliction of diplomatic duty on the part of the Netanyahu government. What if Hillary had won…? 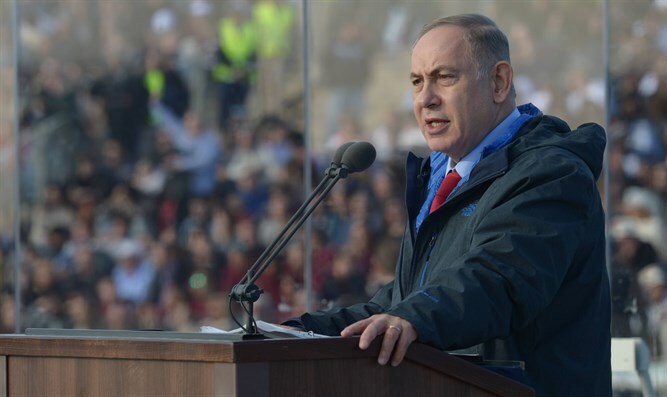 True, the inauguration of Donald Trump may well bring a welcome respite to this pernicious trend—but that can hardly be credited to the sagacity or foresight of Netanyahu’s policy. Indeed, one can only shudder at the thought of what dire straits Israel would have been in, had the designated Obama surrogate, Hillary Clinton, won the November elections—as was widely expected. Depressingly, this disregard for diplomacy–particularly public diplomacy—is a matter I have raised repeatedly in the past years, warning time and again of the gravely detrimental repercussion that would inevitably result from such dereliction—to no avail. See for example If I were Prime Minister…; My Billion-Dollar Budget: If I Were PM (Cont. ); Dereliction of Duty; Intellectual Warriors, Not Slicker Diplomats. With the pitiful amounts allotted for the fight for the hearts and minds of the international community, Israel has all but abandoned what British journalist, Melanie Phillips, termed “the battle field of the mind” to its adversaries—whether the Palestinians and their well-oiled propaganda machine or the inimical politically-correct mainstream media. Astonishingly, until recently, the total budget allocation for Israel’s global public diplomacy effort was less than the advertising budget of a single Israeli food manufacturer for promoting its fast-foods and snacks! So much for Israel’s strategic diplomacy. With such a feeble effort made to establish Israel’s case in the world, there should be little surprise that the Palestinian narrative, portraying the Palestinian-Arabs as down-trodden, dispossessed victims of the Zionist ogre, has dominated the international discourse on the Israel-Arab conflict—and made Israel such an easy target for international censure—and possibly future sanctions. This dismal situation is not a result of a lack of funds. It is rather a lack of political resolve and of political awareness of the crucial role public diplomacy plays in the nation’s strategic arsenal. After all, with a state budget of around $100 billion, allotting a mere 1% for public diplomacy would provide a sum of one billion dollars (!) for making Israel’s case in the world—and no less important—for debunking that of its adversaries. Such resources should of course not be devoted to futile attempts to win over implacable adversaries of Israel and the Zionist endeavor, but to the creation of a political climate, in which their positions are exposed to be ridiculous, self-contradictory, immoral and irrational—and hence untenable as the basis for any policy decisions by any responsible government. Sadly, such a strategic diplomatic offensive was never undertaken—providing Israel’s detractors with unfettered freedom to undermine Israel’s legitimacy and to pave the way for the diplomatic assault we saw this week. Regrettably, by his imprudent acceptance of the idea of Palestinian statehood in his 2009 Bar Ilan speech, Netanyahu has gravely hamstrung much of the freedom of action needed for any official diplomatic effort to rebuff adversarial diplomatic initiatives against Israel. For having committed himself to the perilously impractical idea of two-states, he cannot articulate arguments that show it to be a totally unfeasible and counterproductive objective, which will precipitate outcomes—both moral and practical—that are the diametric opposite of those its proponents claim it will achieve. Thus, for example he cannot publicly tear the mask off the demand to preserve the option of a two-state formula and demonstrate it to be a perversely immoral demand, which will result in realities that are the utter negation of those invoked for creating them. He cannot publicly denounce the call for Palestinian statehood as a grotesquely irrational call that will culminate in the very bloodshed and violence it was designed to prevent. He cannot work to publicly expose the pressure for Palestinian self-determination as nothing more than pressure to set up yet another homophobic, misogynistic, Muslim-majority tyranny, whose hall marks would be religious intolerance, gender discrimination, persecution of homosexuals and suppression of political dissidents. This was the clarion-clear message that Israel should have been conveying robustly and pervasively in international forums, in the mainstream media, and across campuses throughout the western world. Sadly, tethered to his Bar Ilan commitment to Palestinian statehood, it was not one that Netanyahu could adopt, articulate or promote. But Netanyahu’s approach is afflicted by an even more profound defect. For if one eschews any wildly optimistic and naïve “best case” scenarios, it is relatively easy to show that the Palestinian and the Zionist narratives are mutually exclusive—at least in practice, if not in theory. Accordingly, any attempt to re-legitimize the Zionist narrative must, ipso facto, entail the de-legitimization of the Palestinian narrative. However since the Netanyahu government is wedded to the two-state formula—which presupposes the legitimacy of the Palestinian narrative –it cannot work to undermine that legitimacy. It is difficult to understate the gravity of this predicament. For any clear-eyed view of prevailing political realities will quickly lead to the stark conclusion that between the River and the Sea there can—and eventually will—prevail either total Jewish sovereignty or total Arab sovereignty. By blurring the stark clarity of the choice that confronts it, Netanyahu has done the nation a grave disservice—and with all the distaste one might have for the outgoing Obama regime, that is the blame Bibi must bear.